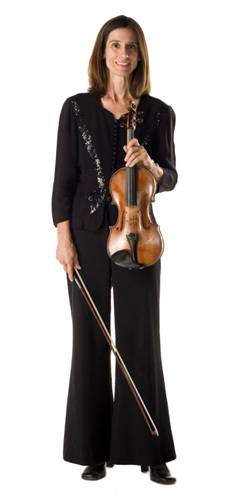 Melanie Olsen Fan has been a member of the Tucson Symphony Orchestra since she moved to Tucson in 1996. She joined the Tucson Pops Orchestra shortly after that. Melanie has studied and performed throughout the world, playing opera in the Heidelberg Castle in Germany, busking on the streets of Venice, and studying tango music with Fernando Suarez-Paz on a Fulbright in Buenos Aires, Argentina (1999). She received her Bachelor’s of Music from the Eastman School of Music (1996) and her Master’s of Music from the University of Arizona (2000). Her principal teachers include Charles Castleman, and Mark Rush. Melanie became a registered Suzuki instructor at the Eastman School and was a graduate teaching assistant at the University of Arizona.